Who can enter: You grant NIAF a license to use your submitted photo in perpetuity, royalty-free, worldwide, including to edit, modify, publish, distribute and republish it in any form, media or technology. Otherwise, entrants retain the rights to their images., Open to all photographers, worldwide. Share your photograph that best captures those moments and scenes that are Italy—only they’re not in Italy. Maybe they’re in your own backyard, maybe in your hometown, or at that Italian American festival, or in the glint of your child’s eye. Where ever or whatever, they just can’t be a photo taken in Italy! Submissions may be poignant, breathtaking, funny, emotional, heartfelt or dramatic. They may be portraits, travel photos, spontaneous moments, family gatherings, ancestors, culinary images, architectural shots, etc. While technical quality, composition and clarity are important, judges will be looking for images that best express finding Italy outside of Italy! 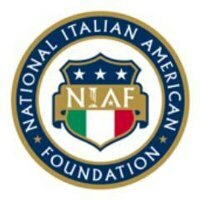 • Two tickets (winner and guest) to NIAF’s 39th Anniversary Gala dinner and all Gala events the weekend of October 24-25 in Washington, D.C.
• Roundtrip airfare for two (within continental United States) if needed to attend. • Two-night stay at the Washington Hilton during the Gala weekend (one room). • The winning image will be displayed at NIAF’s 2014 Anniversary Gala, on the NIAF website, and on NIAF’s social media. • The winning photo will be featured in the 2014 Winter issue of NIAF’s Ambassador magazine, published in December. Second Prize: Five Second Prize winners will each receive a one-year associate membership to NIAF (transferable). Second prize images will be displayed at NIAF’s 2014 Anniversary Gala, on the NIAF website, on NIAF’s social media, and in the 2014 Winter issue of NIAF’s Ambassador magazine, published in December. Winners will be announced on NIAF’s website, Facebook page and other social media on Friday,October 10, 2014. One submission per person online as a digital photograph. Image requirements: high-resolution photos (300 dpi jpeg) and larger dimensions are preferable.